Learning how to trade the financial markets has evolved. From paper trading to stock simulators, and nowadays it's a good idea to try a trading demo account from your broker. Not only is it in real time, as some stock simulators are delayed, you'll also get a look and feel for the layout of your future broker. Most brokers offer their trading systems on various platforms such as web based (in your browser), or a software program you can download on your PC or Mac, or Mobile trading platforms for smart phones, ipod etc. The great thing is that most brokers also offer a real welcome bonus (real money!) with little or no deposit(!) to trade with, so you can start trading stocks, Forex, CFD's, commodities, etfs, etc yourself - for free. Test out different trading strategies, learn from others via social trading and be well on your way to earn your first trading dollars in your trading account! 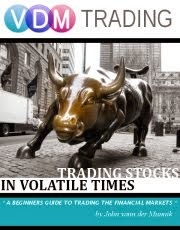 This is absolutely an amazing way to learn how to trade the financial markets. However, I'd like to give you a few tips first before you start opening your first trading account though. Always start with a demo trading account first. A free sign up bonus sounds tempting with real money trading, but wait until you're familiar with your trading platform, and of course; can make consistent profitable trades. Usually your demo expires within 30 days after you've activated your account (this varies per broker), and you'll be also able to set your starting amount. Set this amount as realistic as possible. If you are planning to invest $1,000 - then enter that also as a beginning value and try to treat it like real money. At the end of the month, evaluate the results and if they're satisfactory - try to do it again for another 2 to 3 months. If you're able to make consistent successful trades, you may be ready to start trading with real money and the road to financial freedom is closer than you think! Keep in mind: Your sign up bonus will expire! No one likes to give money away for free. What a lot of brokers won't tell you outright is that you'll lose your sign up bonus within a certain time window (varies per broker). Know when your sign up bonus expires, this is important! (Read the fine print). Use your sign up bonus to leverage their trading products. This means that you'll be trading a lot during your first month (or whenever your bonus expires), that's why it's important to try a demo trading account first until you think you are ready to handle the real thing. You do keep the money that you make from your sign up bonus. No more delayed stock simulators! There are dozens of trading brokers out there that offer real time Forex, stocks and / or CFD trading. The most reputable, self respecting ones offer demo trading accounts so you can get a look and feel of their platform. I've been trying out several myself, one I'm really satisfied with so far is Plus 500. I've been thinking about switching brokers now for awhile and Plus 500 is definitely high on my list to become my main number 1 broker for trading CFD's and Forex! 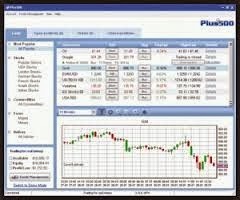 Plus 500 is fast, accurate and cheap. Oh, and you also get a welcome bonus of $25 (€25 in Europe), with no deposit required! You will never lose more money than you invest! Open a demo account now with Plus 500, claim your free bonus and try them out for yourself. It's well worth it!